Hey y’all, it’s Andrew and Jon-Michael here, and we really, really love Chick-fil-A. 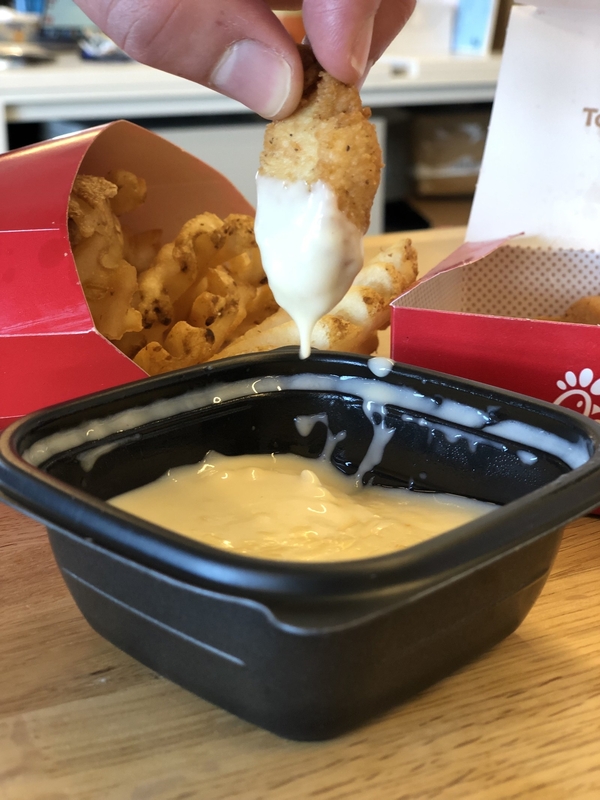 So when we heard that some locations were introducing a new cheese dipping sauce, we had absolutely no choice but to go try it. 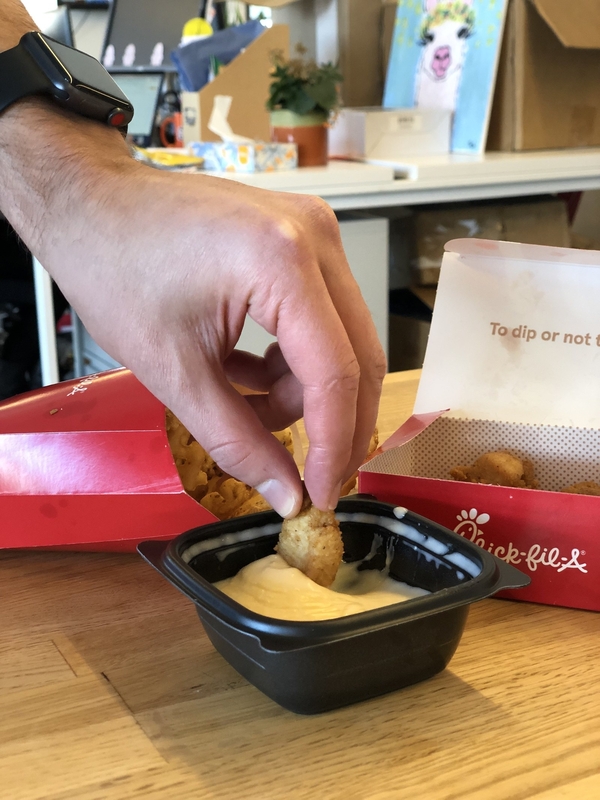 According to Chick-fil-A, the cheese sauce is available at 436 locations in the Midwest and Northeast, although it has also been tested across the South. The sauce, made from a mix of parmesan and Swiss cheeses, costs $1.19 and comes in a three-ounce serving — so while it’s not free like the other one-ounce sauces, you do get a LOT of sauce for basically a dollar. Most importantly, though, how does it actually taste? 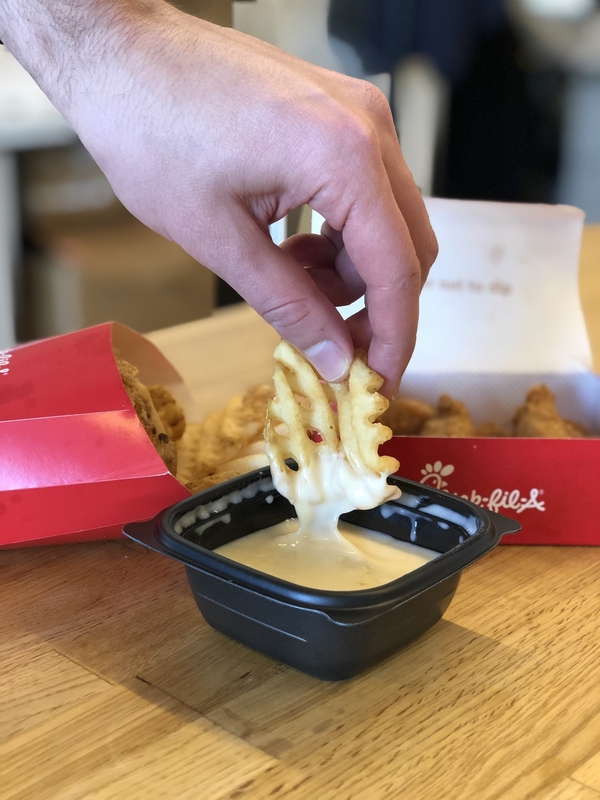 Andrew’s thoughts: The cheese sauce tastes really good — better than Chick-fil-A Sauce in my opinion. 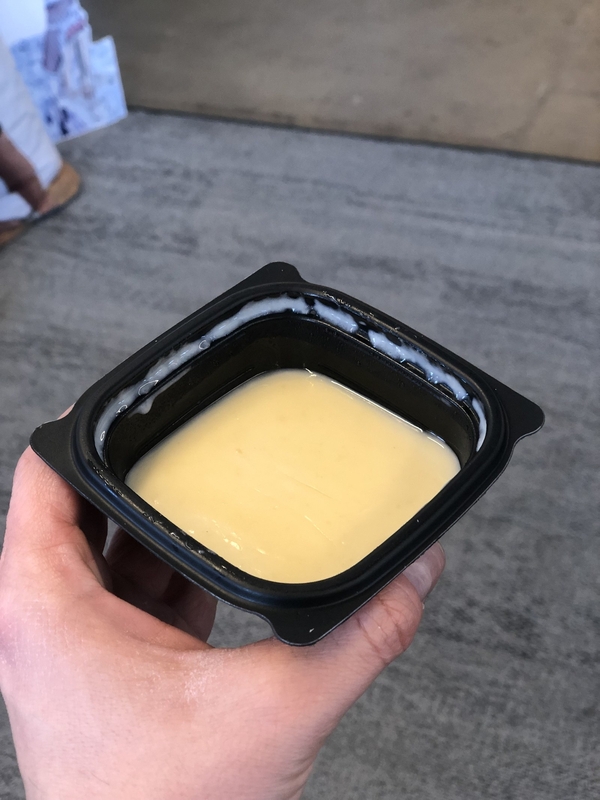 It wasn’t hot when we tried it because we had to transport it back to the office, but it was still a really dippable consistency at room temperature. It’s basically a queso without any spice, and if you’re like me (obsessed with queso) you can dip just about anything on the menu in this sauce. Jon-Michael’s thoughts: By almost every measure, the new sauce is near-perfect. 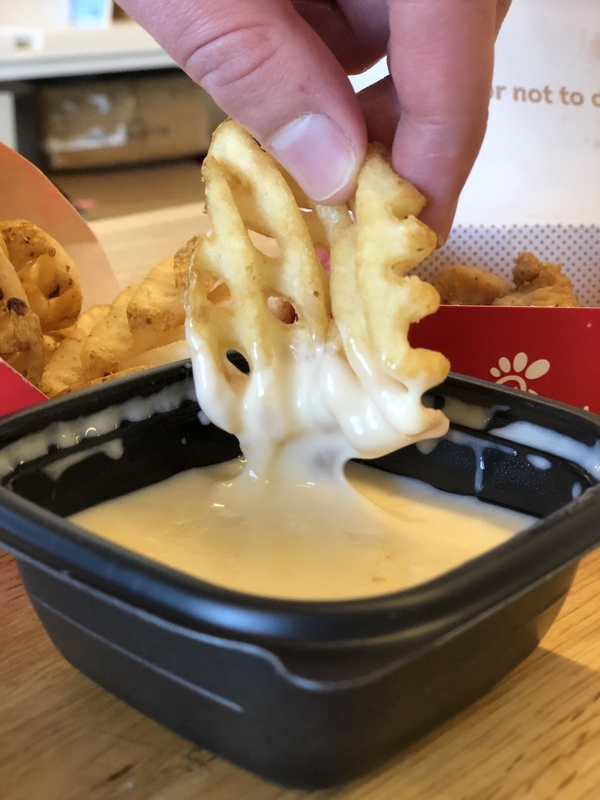 Unlike so many other cheese sauces out there, Chick-fil-A’s tastes and looks like real cheese (because it is! ), and its off-white color reminds me of the queso blanco I used to eat at Mexican restaurants in Arkansas growing up. And like Andrew said, its dippable consistency is spot-on. I tried the cheese sauce with both chicken nuggets and waffle fries, and IMHO, it goes much better with the nuggets. And if you’ve already tried it, let us know what you thought in the comments below. Where Should You Travel Next, Based On Your Favorite Foods? What's The Worst Thing Tourists Do When They Visit Los Angeles?